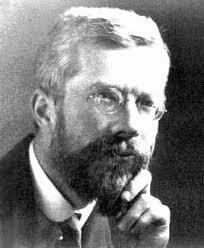 Today is R.A. Fisher’s birthday. I will post some Fisherian items this week in honor of it*. This paper comes just before the conflicts with Neyman and Pearson erupted. Fisher links his tests and sufficiency, to the Neyman and Pearson lemma in terms of power. We may see them as ending up in a similar place while starting from different origins. I quote just the most relevant portions…the full article is linked below. Happy Birthday Fisher! The property that where a sufficient statistic exists, the likelihood, apart from a factor independent of the parameter to be estimated, is a function only of the parameter and the sufficient statistic, explains the principle result obtained by Neyman and Pearson in discussing the efficacy of tests of significance. Neyman and Pearson introduce the notion that any chosen test of a hypothesis H0 is more powerful than any other equivalent test, with regard to an alternative hypothesis H1, when it rejects H0 in a set of samples having an assigned aggregate frequency ε when H0 is true, and the greatest possible aggregate frequency when H1 is true. If any group of samples can be found within the region of rejection whose probability of occurrence on the hypothesis H1 is less than that of any other group of samples outside the region, but is not less on the hypothesis H0, then the test can evidently be made more powerful by substituting the one group for the other. *I’ve posted several of these items, in different forms, during the years of writing Statistical Inference as Severe Testing: How to Get Beyond the Statistics Wars (2018, CUP): this is the first year I can point to the discussions of Fisher therein. The current post emerges in Excursion 5 Tour III. However, I still think it’s crucial to read and reread the original articles!